Since the beginning of 2013, Syrian troops had begun an irreversible push to take back territory overrun by foreign-backed militants, including along Syria’s borders with Lebanon and Jordan. 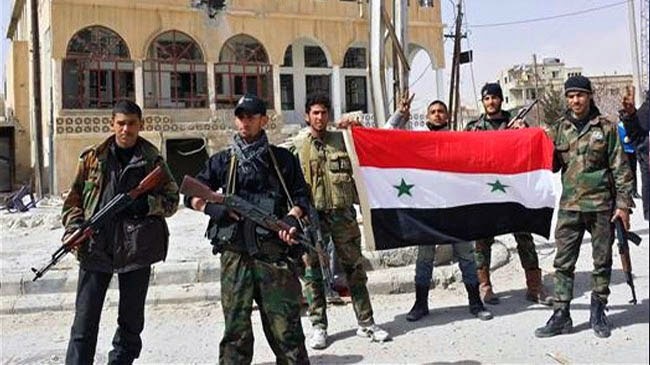 Today, cities long lost to these militants once again have the Syrian flag waving above them, their people liberated, and the deadly toll of occupation finally being tallied before the global public. The strategic turn in Syria’s favor was noted by geopolitical analysts long before the Damascus chemical weapons attack in the summer of 2013. When Western nations used “desperation” as a motive for the attack, which they squarely blamed on the Syrian government, those watching Syria’s systematic victories against the West’s proxy militants immediately suspected a false flag attack – one that was carried out by either the West, or one of its regional collaborators. Of course, even at face value, nothing about the White House’s “assessment” nor the Washington Post’s analysis adds up, including why the Syrian government would attack “densely packed eastern suburbs” and then be “surprised” by a high civilian death toll. More logically, those seeking to incriminate the Syrian government picked packed suburbs specifically to exact a high civilian death toll. Now with the Western media incapable of covering up Syria’s tactical and strategic gains against even the most entrenched militant strongholds, the tenuous nature of August 2013’s lies spun by the West, including citing “desperation” as a motive, are more apparent than ever. 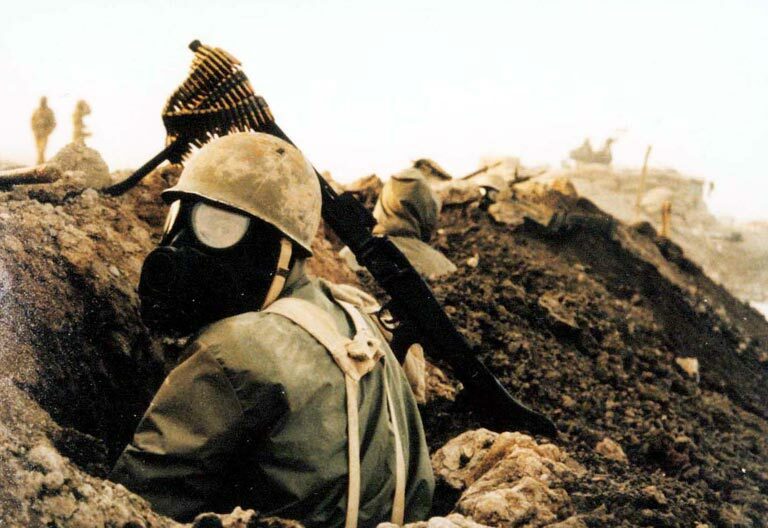 Image: Chemical weapons were used extensively during the 8 year Iran-Iraq War during the 1980’s. Despite vast quantities of chemical agents being used, both mustard and nerve gas, these “weapons of mass destruction” would only constitute 2-3% of all of the war’s casualties. Not only had the West lied about Syria using chemical weapons, but they also lied to the world about the threat posed by such weapons in the first place. With Syria clearly and irreversibly winning victories against the so-called “rebels” through the use of conventional weapons, it is clear that the supposed motive of August 2013’s Damascus attack was also an overt and intentional fabrication. As the West pursues a dangerous confrontation with Russia via the Eastern European nation of Ukraine and the newly independent region of Crimea, the global public must recall how events like the August 2013 Damascus “chemical attack” were insidiously executed, lied about, and eventually buried when their political capital was spent.